Tags: baking, butter, chew, chocolate chip cookies, cookies, eggs, engineering, flour, gluten, ingredients, science, texture. Bookmark the permalink. 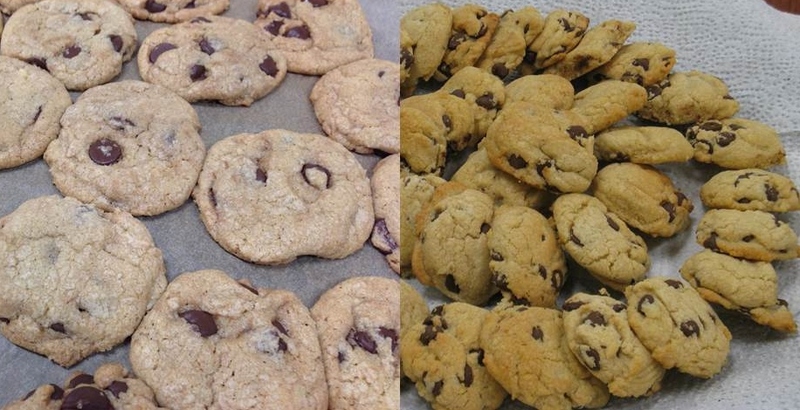 Thank you for manipulating the Chocolate Chip cookie recipe….wish I was there to sample! Thank you for a fascinating article. 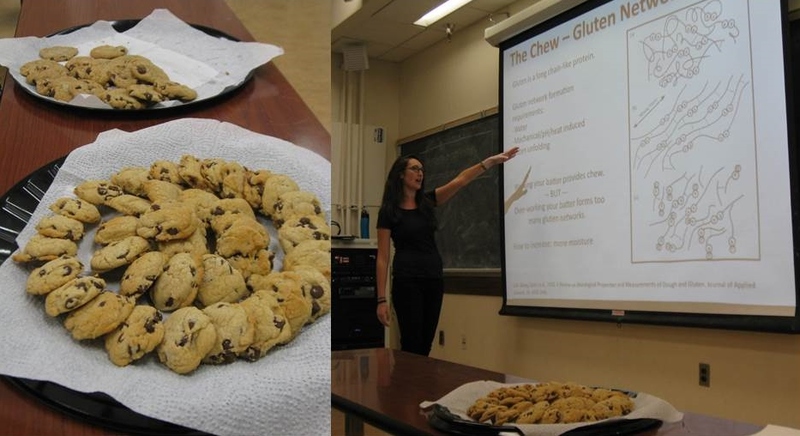 Is it beyond the scope of your work to talk about the science of low-carb and gluten free baking? I have been playing around, with success, using a combination of almond meal, coconut flour, and xylitol. It is a trial and error process and I would love to know the science behind it. Most low carb, gluten free desserts are pretty sad, I admit. After much recipe research and hit and miss experimentation, I’ve created some things that I think are good and I’d love to learn more about it, if you have the inclination or interest. If you’d like to take a look at some of my recipes you can go to http://www.preheatto350.com (not a plug :-), just the best way I can think of to describe my recipies). The cakes work great. The pizza crust tastes good and works well enough. The cookies, however, are another matter. I’ve only had success with a peanut butter cookie. It’s quite fragile but does hold together if the butter is softened but still a little cool when mixed in. Just thought I’d ask since there is a lot of interest in low carb and gluten free baking and your information is so interesting and well presented. I’d love to actually know WHY the arrowroot helps the pizza crust crisp, or why I need lots more eggs and baking powder in the cake, and why and when to use baking soda. Thanks for all the great questions! Gluten free baking is certainly a fascinating topic that we’ll try to spend more time on in the future. One of the most challenging aspects of gluten free baking is being able to form a coherent dough that holds together in the absence of the stretchy gluten protein networks that are developed during dough formation. As you’ve already seen, gluten free can work pretty well in baked goods where too much gluten development can be a bad thing (pie crusts, delicate cakes, crispy flatbread crusts, etc.) but is much harder when a chewy, denser texture is desired (breads, doughy pizza crusts, chewy cookies, etc.). I’ll take a look at the articles you mention. I’m looking forward to any future information you have on the subject. I just subscribed to your blog so I’ll be on the lookout. Why do my cookies taste bitter like a chemical? You might need to check on the sodium bicarbonate or baking soda content, I guess you might have added to much of it.